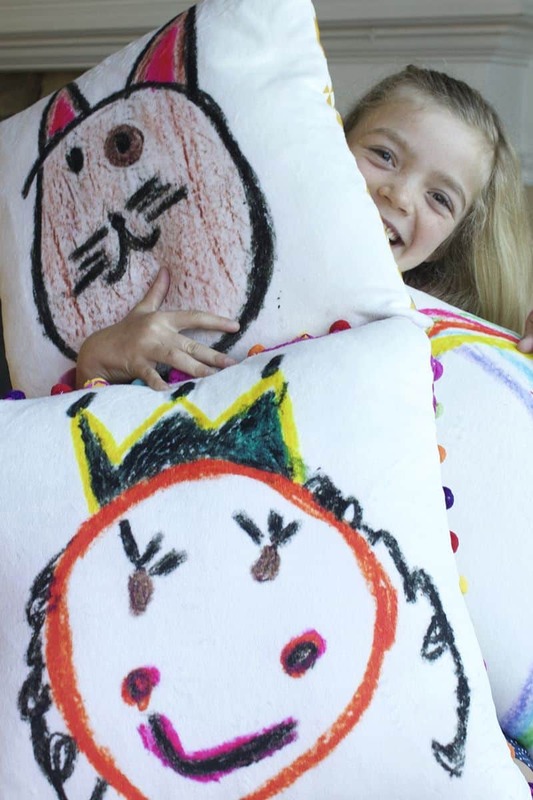 Turn your children's art into the sweetest fabric to use to create custom cushions. 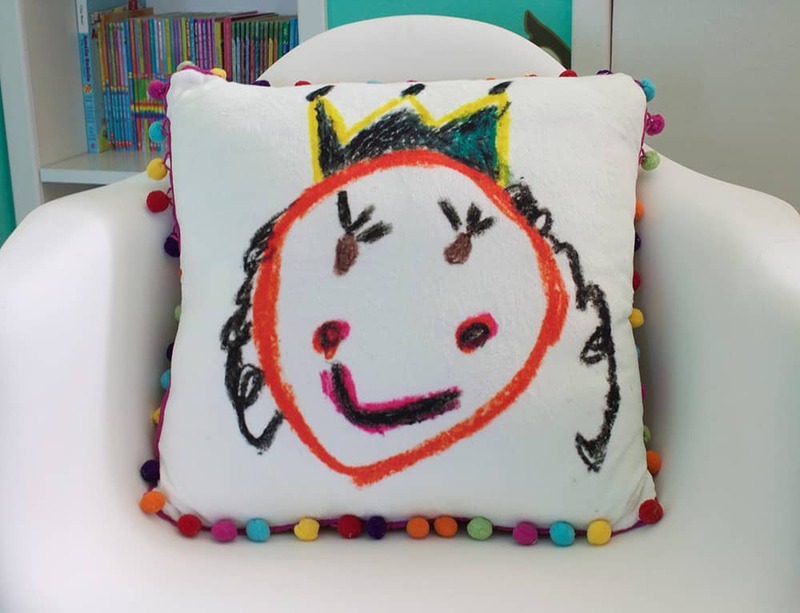 Emma Jeffery, author of Hello Beautiful, shows us how she used our newest fabric Minky to create soft and snuggly cushions for her daughters room featuring her designs! 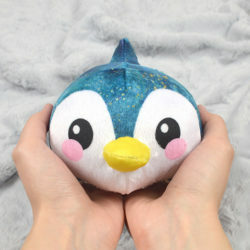 Today I’m going to show you how to prepare 6 designs for making cushions printed on to Spoonflower’s new, plush Minky fabric. Each finished cushion cover will fit 18” x 18” pillow forms and will be the cuddliest cushions you’ve ever snuggled. 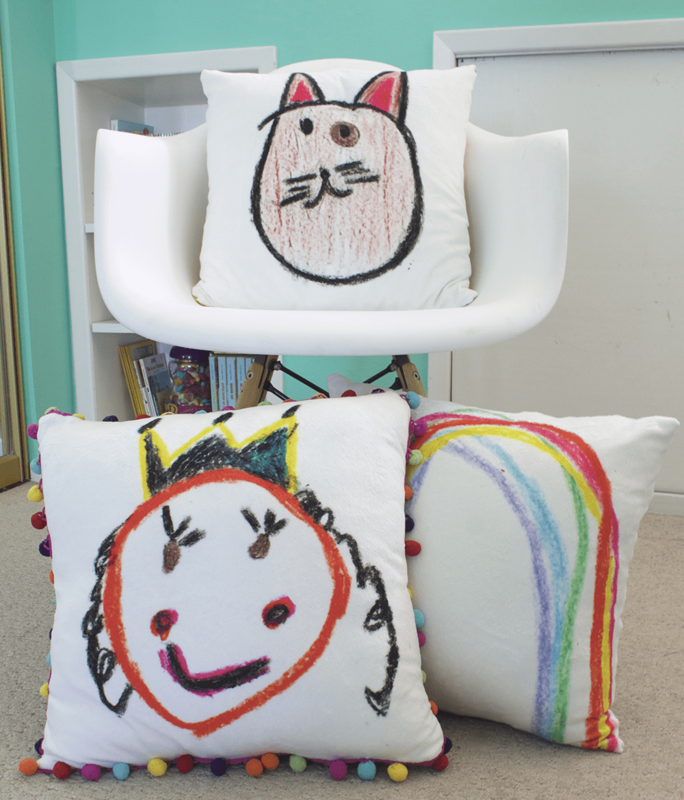 I used my daughter’s drawings for 4 of my cushions as well as 2 simple designs I drew on my computer. If you want to use hand drawn drawings like I did, simply scan the images and save them to your computer. 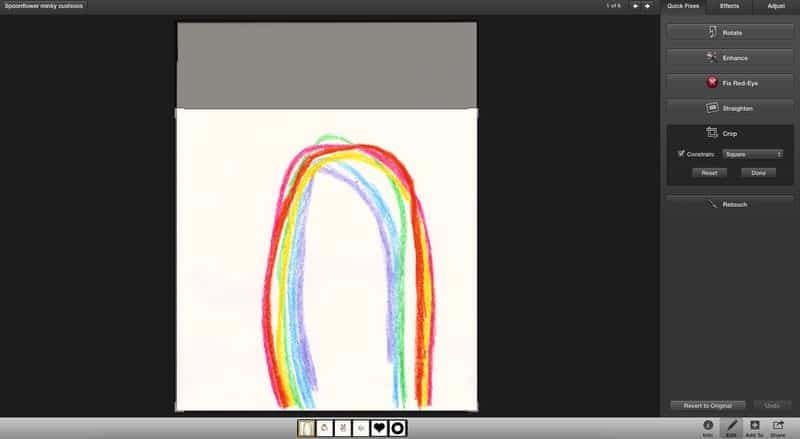 If you don’t have a scanner, you can always take photos of the drawings and upload them to your computer. 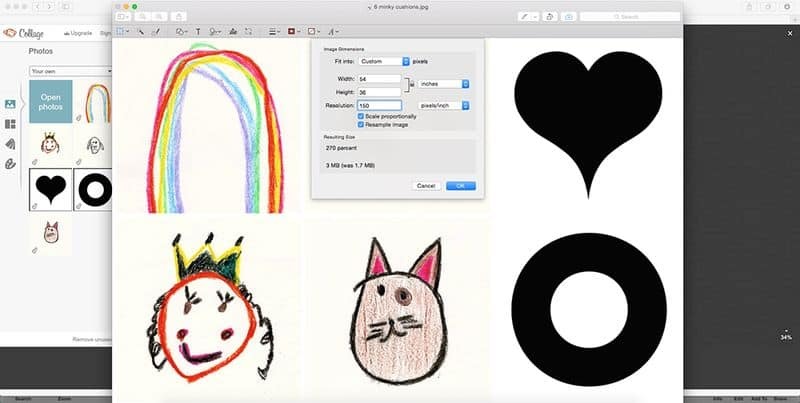 Select the 6 images you wish to use and crop them all to a square shape, using your computer’s basic photo editing software. I also enhanced the color and contrast of my images to make the colors really stand out. Go to picmonkey.com to create a collage and upload your 6 images. Under the ‘Cards’ collage heading, select 4 x 8 and set the size of the collage to 3000 x 2000. Lay out your images into 2 rows of 3 by dragging them into the grid. 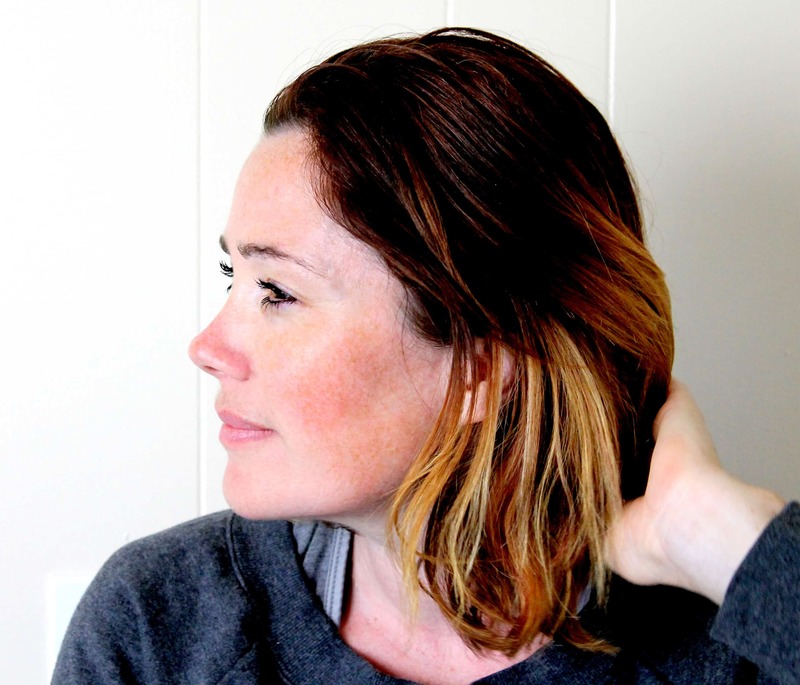 Use picmonkey’s photo edit option to enlarge and centralize your images within each square. Save your collage to your computer using the highest quality download option. Open your collage in your computer’s photo editing software and adjust the size to 54” x 36”. Adjust the resolution to 150 dpi. Save your collage. 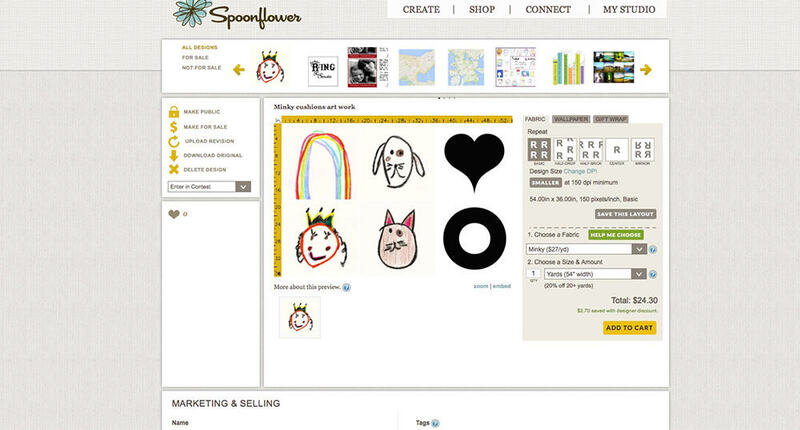 You’re now ready to upload your collage to Spoonflower’s website. 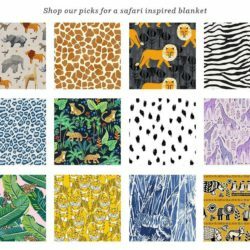 Go to Spoonflower.com to create your custom fabric. Upload your design and select one yard of Minky. When you get the fabric home, simply cut each individually designed 18” x 18” square and use as the front of your cushion piece. I used designs from Spoonflower’s Marketplace by Sparrowsong and Charlotte Winter printed on Eco Canvas for the cushion backings. Terrific! Thanks for the technical info! Im going to try this! 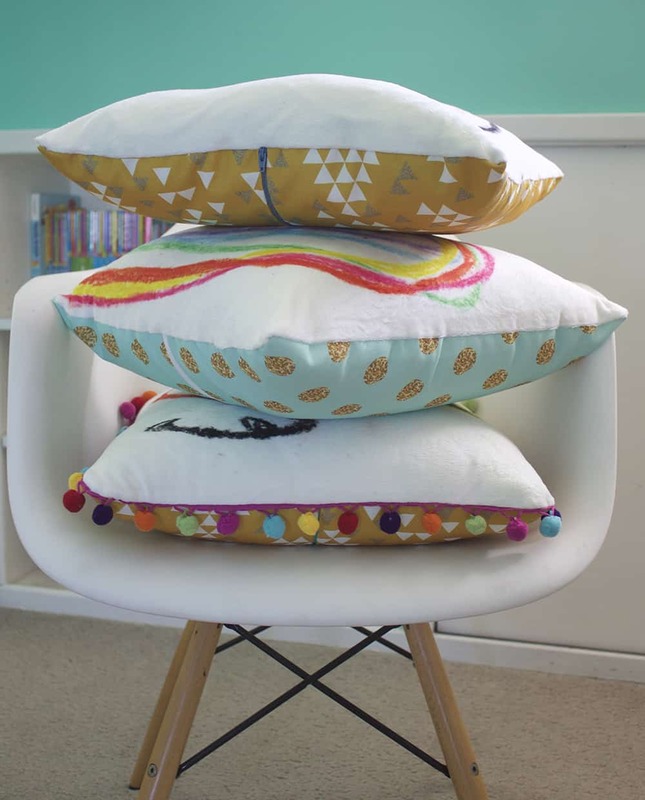 i love these pillows…such a great idea! i envy people who have artistic talent and creative vision. 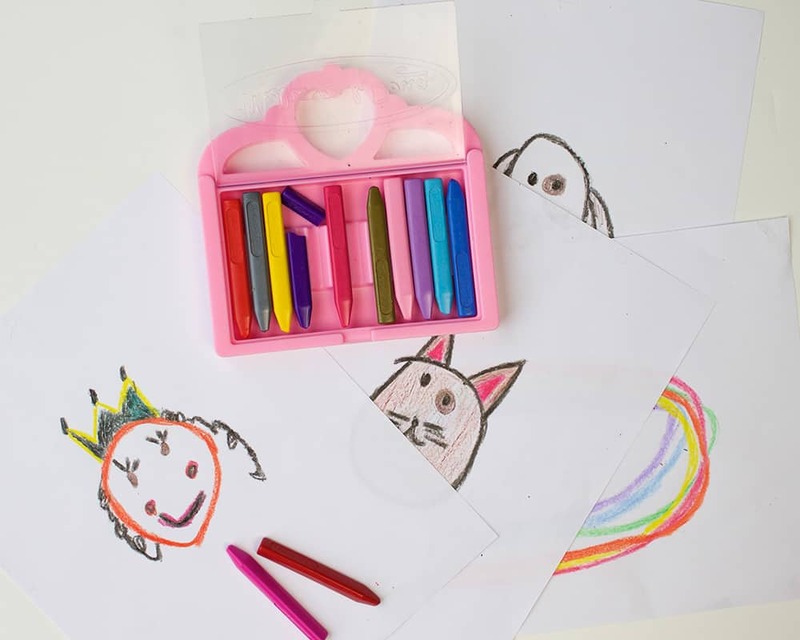 i don’t have an artistic bone in my body, but i love to copy those who do! where did you find those awesome multicolored pom poms? 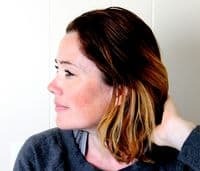 We're not 100% sure where guest blogger Emma Jeffery got her trim, but we found something similar on Etsy! 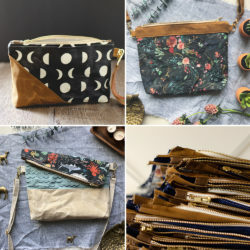 « DIYs to Finish While Snowed In!